What is the smart watch phone to wear? Yes, from now on you can also wear smartphones. 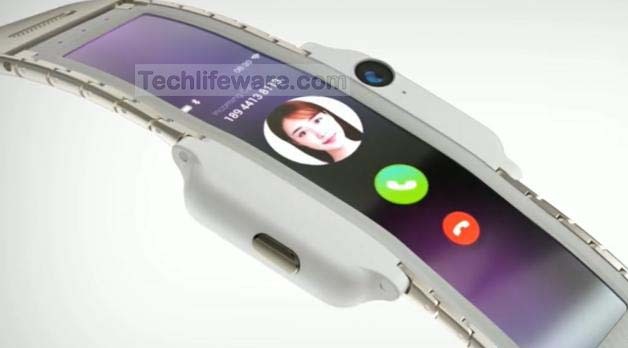 Lumia alpha smartphone will be worn like a watch. As a wearable technology, hands-on smartphone is coming to the market for the first time. The IFA conference in Berlin, Germany, shows a similar smartphone on Friday, Chinese smartphone maker ZTE The company's sub-brand Nubia has created such a smartphone. According to a report of Gizmachayana, the Nubia alpha named after the fourth quarter of this year will start the work of creating a smartphone. Nubia shows the affordable smartphone concept in the IIFA conference. At the beginning of the market, the phone will not be available at the beginning of the price or how much it will be worth. The makers of the phone say, Nubia alpha phone can be captured. There will be a large turn-based OLED display. It's with Nubia's flexible display technology 'Flex'. There is a camera and microphone in front of the phone. It also has buttons on both sides. The phone has charging pin and heartrate sensor. Nubia smart watch phone has announced a smartphone to play a game called Nubia Red Magic in IIFA. Its price is 450 Euro. The Android-powered phone will have 6-inch full HD display, Qualcomm Snapdragon 835 processor, 6GB / 8GB RAM version. It has 24 megapixel single camera and 8 megapixel front camera.